Driving in snow and ice can be extremely tricky and it’s always advisable that you only travel if it’s absolutely necessary. If you have to drive through settled snow or ice, consider these tips below to help you stay safe and in control. As with driving in any extreme weather, assess whether it’s absolutely necessary for you to travel or if you can find other means of transport. If you have to drive, inform a member of your family or a friend about your route and expected time of arrival. Plan your journey in advance. Avoid country lanes and minor roads, as these are less likely to have been cleared or gritted. Where possible stick to main roads. Make sure your phone’s charged up, in case you find yourself in an isolated area and need help. Prepare for the journey and make sure you have everything you might need in the car with you. Don’t forget about your car battery, especially during winter when it’s more likely to fail. Check out the AA’s advice on avoiding battery problems. Make sure you have plenty of petrol, in case your journey turns out to be longer than expected. Warm up the car to help defrost the windscreen before you drive off. 47% of motorists admit to leaving their car unattended on winter mornings² – be careful with this to avoid theft. Clear all windows of settled snow, so you have full view of the road. Make sure your lights and number plate are clear. 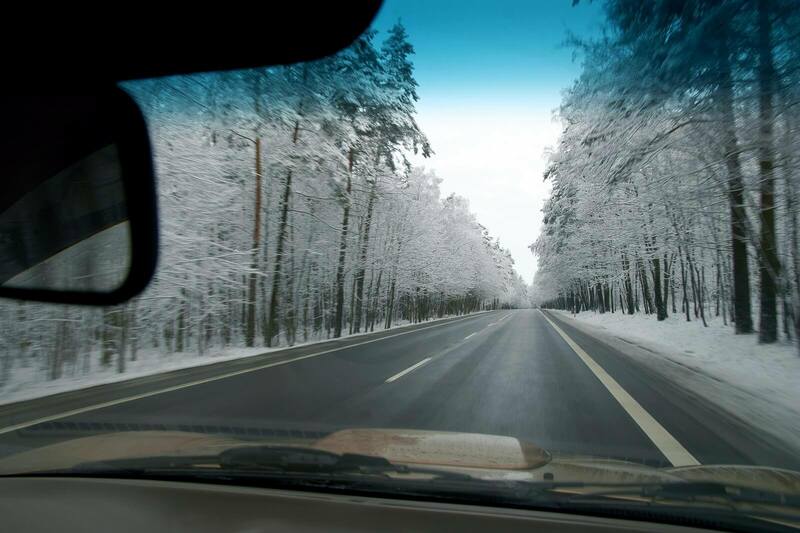 Remove any snow from the roof, as it could fall onto the windscreen while you’re driving. Stay calm. This sounds obvious, but if you’re too nervous you won’t think clearly. As you drive away, do so as slowly and carefully as possible, avoiding revving the car too much. Once you join roads, maintain a safe distance between your car and the car in front. That way, should you need to brake, you’ll have given yourself plenty of time to do so gently. Change gear as smoothly as possible, once again avoiding high revving or jerky movements. Staying in a higher gear can help give you more control over the car. When approaching a bend, slow down before you start turning the steering wheel. Maintain a sensible speed throughout your journey and don’t feel pressured by other drivers to drive faster than you feel is appropriate. Watch out for black ice. This is where water collects on the roads after bad weather, temperatures fall and the water freezes over to form a large sheet of ‘invisible’ ice. Know your abilities. Should you at any time feel overwhelmed, or worried that the conditions are worsening, pull your car over safely and try to arrange another means of getting home.